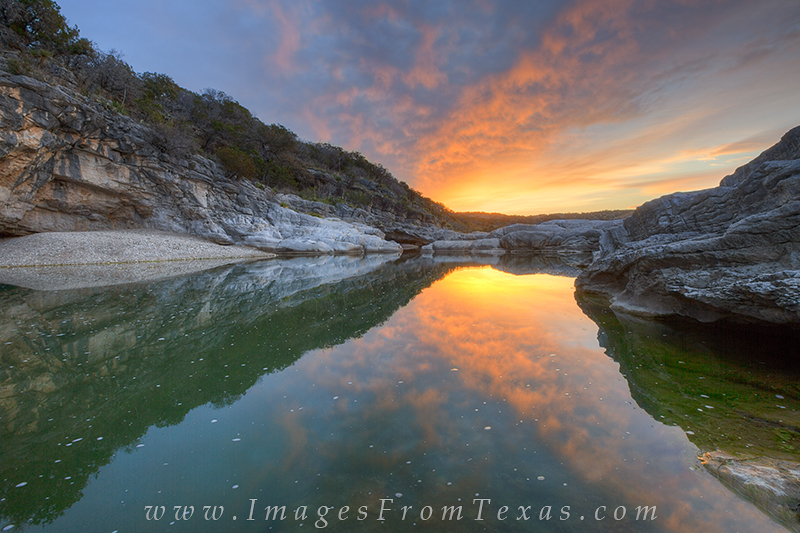 While the waters of the Pedernales River flow through this park, there are often pools of water that are still and offer wonderful reflection of sunrise and sunset. This February morning was cold, but the sunrise was beautiful. As is usually the case, I never saw another person out. Photo © copyright by Rob Greebon.